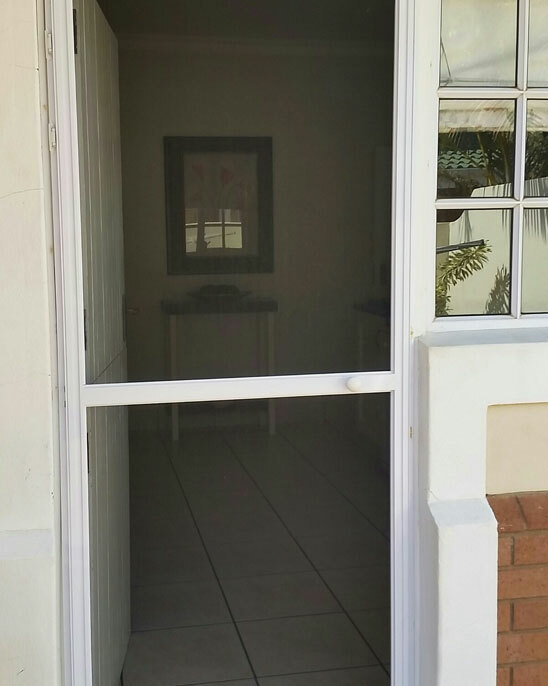 All Star Flyscreens | All Star Door Screens- Keep Pests Out! Looking for door screens to keep those pests out, but let light and fresh air in? Then look no further, we have the perfect product for your needs! The range and versatility of the ALL STAR FLYSCREENS is only limited by your imagination! 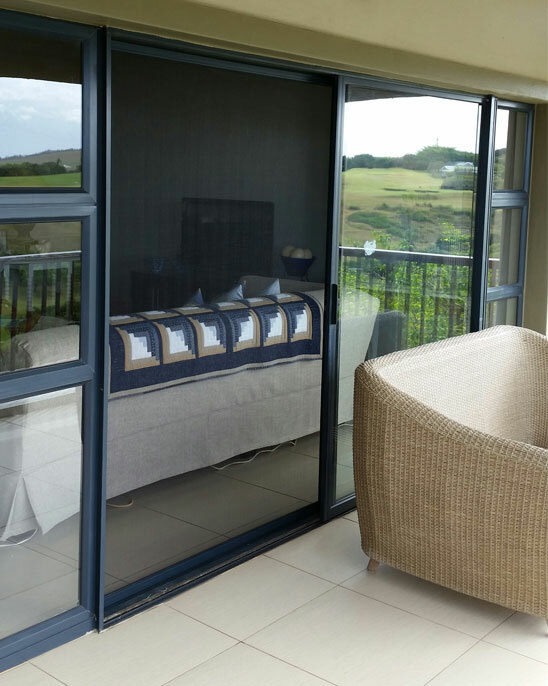 Our sliding SCREEN DOORS are guaranteed to keep all unwanted pests on the outside looking in. The unique design ensures that no insects can enter through gaps between the frames and the door. 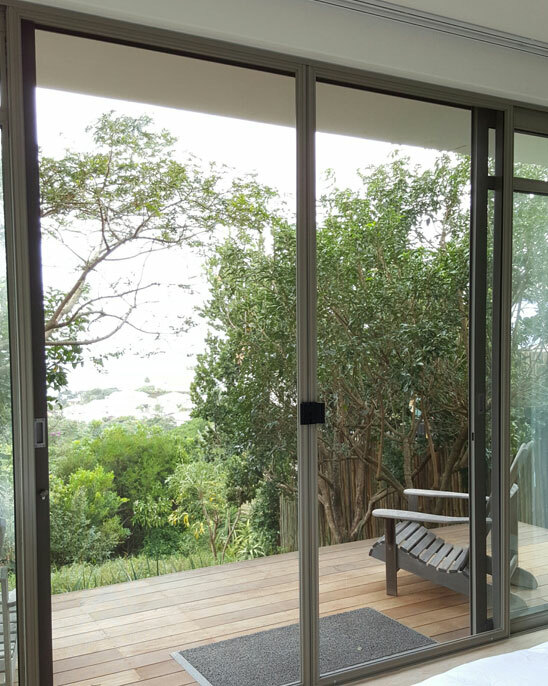 ALLSTAR Flyscreen doors can be either sliding, hinged or top-hung – depending on the installation requirement. Fits on all aluminium and wooden sliding doors. 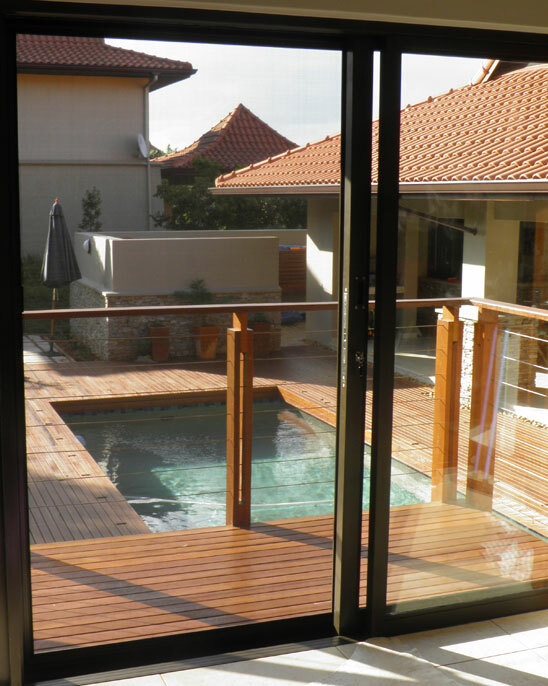 SINGLE, DOUBLE and MULTIPLE sliding doors. 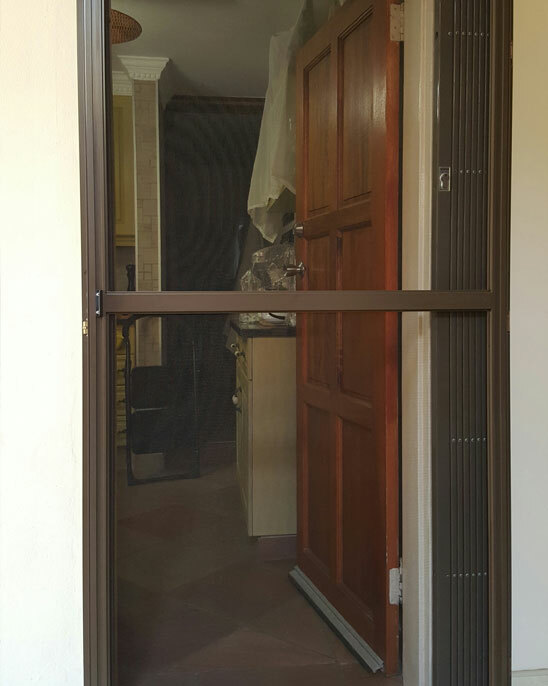 Easy to install and can be customised to fit any size sliding door. 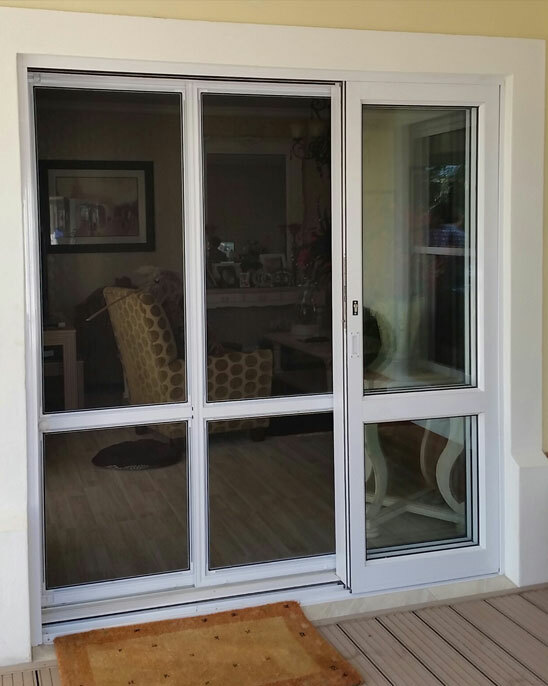 The patio screen door comes complete with a mid rail making it extremely rigid, although the mid rail is optional and not a necessity. 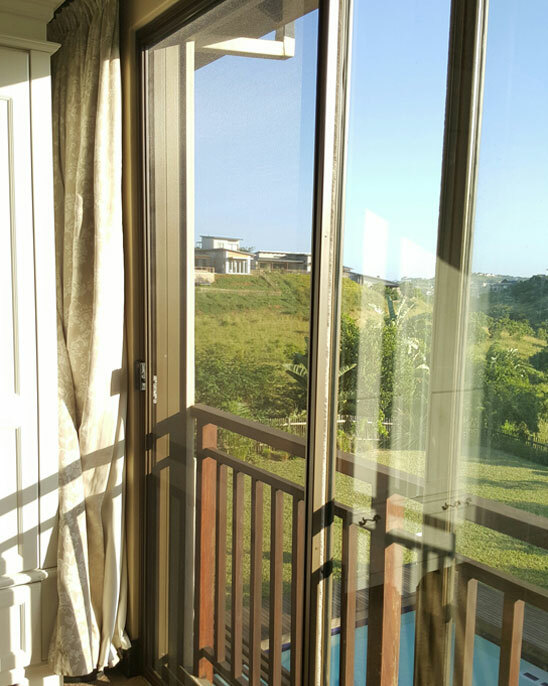 The outer frame is secured against the existing patio door frame ensuring stability. Available in the full range of powder coated colours. The mesh used on the doors is one which we call “pet resistant mesh”. It is specifically designed to withstand dogs, monkeys, cats etc scratching against the door. The mesh is designed to withstand high temperatures and is rust and corrosion resistant. The mesh can also be replaced at any time without compromising the product. 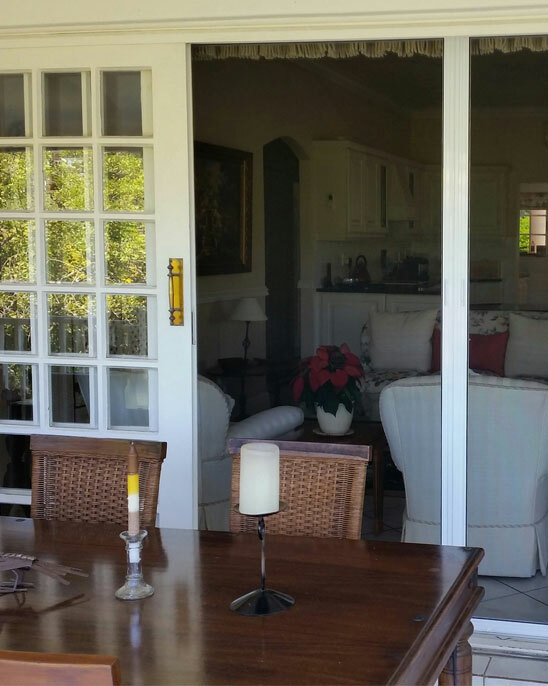 The hinged screen door was developed as a result of many queries for a “kitchen door screen”. The hinged door can be manufactured to any size. SINGLE or DOUBLE Hinged Doors. It can be fitted to any single side-hung aluminium, steel or wooden door. The structural strength and rigidity of the hinged door is achieved by the patented corner cleats of the outer frame. These ensure that the door does not sag and stays square. The meshed panels are individually framed and the mesh is inserted with a gasket. This ensures that the mesh can be easily replaced at any time. 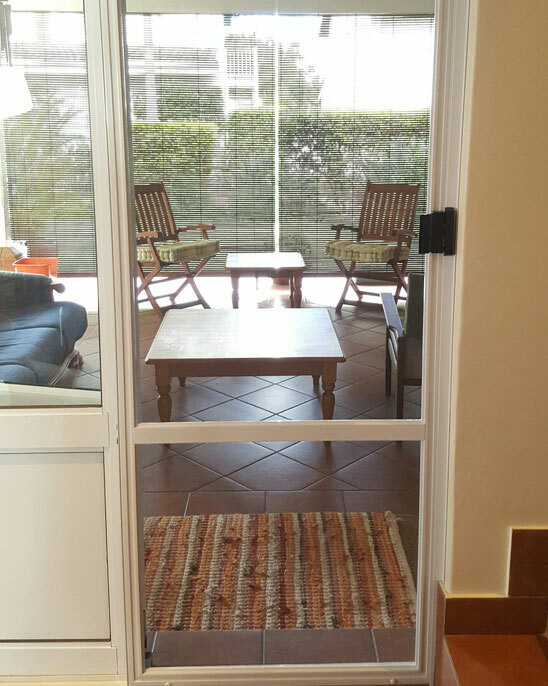 The door is fitted with “pet resistant mesh” that is resistant to dogs scratching against it. 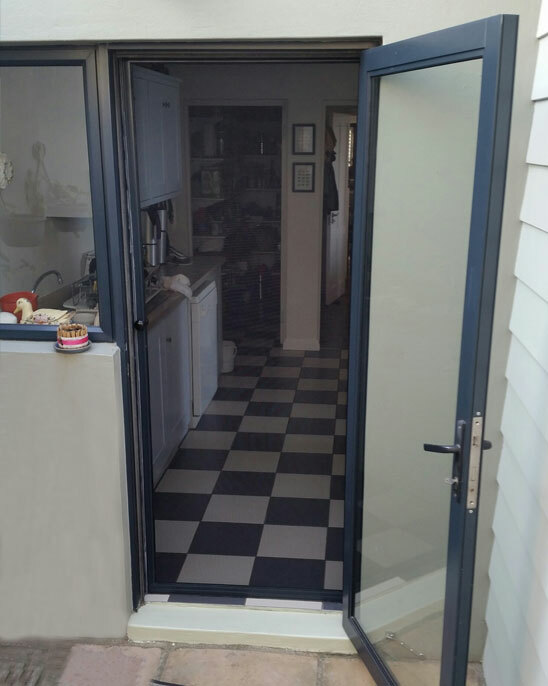 The door can be fitted to the inside or outside of any side hung door.